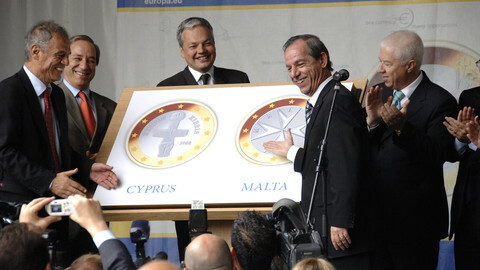 Marathon meetings in Brussels ended in the early hours of Monday (25 March) with eurozone finance ministers and international creditors agreeing a second bailout deal for Cyprus. Unlike the agreement last week, which saw all depositors in Cyprus take a hit and which was rejected by the Cypriot parliament, this time the deal only affects deposits in the two largest banks - Laiki and the Bank of Cyprus - accounting for about 40 percent of total deposits in the country. Under the deal, Laiki will be "wiped out completely," while its "good" assets - including deposits under €100,000 - will be placed in a "good bank" which will be taken over by the Bank of Cyprus, Eurogroup chief Jeroen Dijsselbloem explained in a press conference. Laiki depositors above €100,000 - including many wealthy Russians - will see their savings gone, bringing in an estimated €4.2 billion in terms of Cyprus' own contribution to the €10bn bailout. Technically, these deposits, along with Laiki bonds and other liabilities will be put in a "bad bank" and gradually wound down, Dijsselbloem explained. Depositors in the Bank of Cyprus - which will include the small savers transferred from Laiki - will also be hit to a lesser extent. "We want Bank of Cyprus to stay alive and continue, but it needs recapitalisation from senior, junior bondholders, also small savers," Dijsselbloem said. 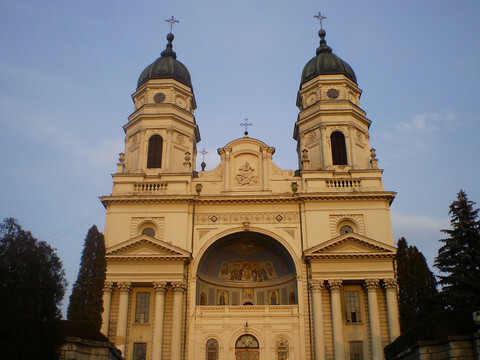 For his part, EU economic affairs commissioner Olli Rehn noted that deposits under €100,000 will be guaranteed across the board. But details on the losses for bondholders and depositors in both Laiki and Bank of Cyprus remain sketchy for now. 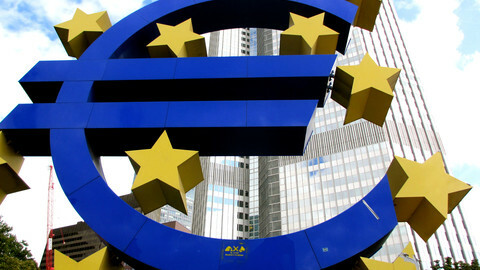 The only clear aspect is that a Monday deadline set by the European Central Bank to avoid a full collapse of the banking sector and state bankruptcy in Cyprus has been met. But none of the officials could predict when banks will re-open and how long capital controls will stay in place. The Cypriot Parliament on Saturday approved emergency legislation making the tiny island the first eurozone country ever to limit bank withdrawals and cross-border monetary transactions. 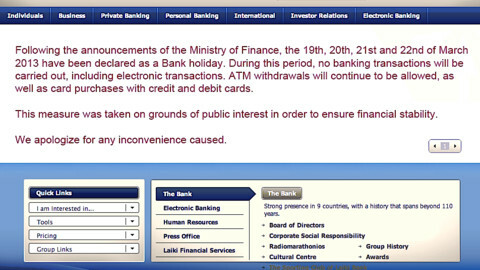 The measure aims to limit a bank run once the Cypriot banks - now closed for over 10 days - get back to work. Dijsselbloem and other finance ministers said it was the best deal possible given "worsening circumstances" since last week, when the Eurogroup agreed on a levy on all deposits in Cypriot banks, previously a taboo in the EU. EU Council chief Herman Van Rompuy - a skilled Belgian negotiator - was brought in this time around to pave way for a deal with the Cypriot President and the heads of the EU commission, International Monetary Fund (IMF) and European Central Bank. The talks, which started early Sunday afternoon, dragged on until late at night and delayed the start of the eurozone finance ministers' meeting by four hours. German finance minister Wolfgang Schaeuble and IMF chief Christine Lagarde - who last week had pushed for only big savers in the two largest banks to be hit, but were rejected by the Cypriot side - seemed vindicated. 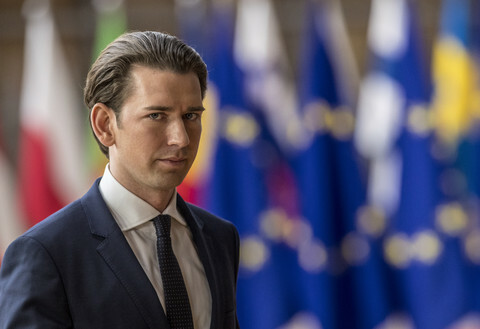 "There was not enough political support last week and the idea was a total no-go a few weeks ago, but now we got to the position the German government always wanted," Schaeuble told reporters on his way out. Lagarde said that by reducing the size of the banking sector and "bailing in" the two largest banks, Cyprus's debt will not exceed "around 100 percent" of GDP - a key condition for the IMF. 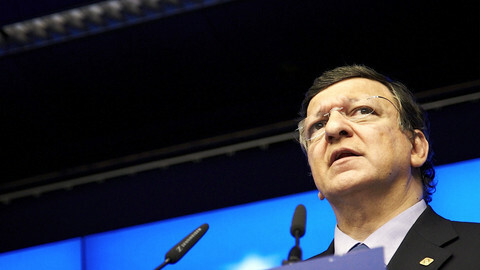 According to the head of the eurozone bailout fund, Klaus Regling, first payments are to flow to Cyprus in early May. The deal still needs the approval of national parliaments in Germany, Finland and the Netherlands. 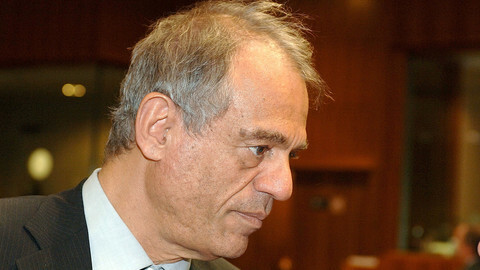 Extra legislation may be needed in Cyprus, but most of the bills required for the deal were already passed on Saturday. 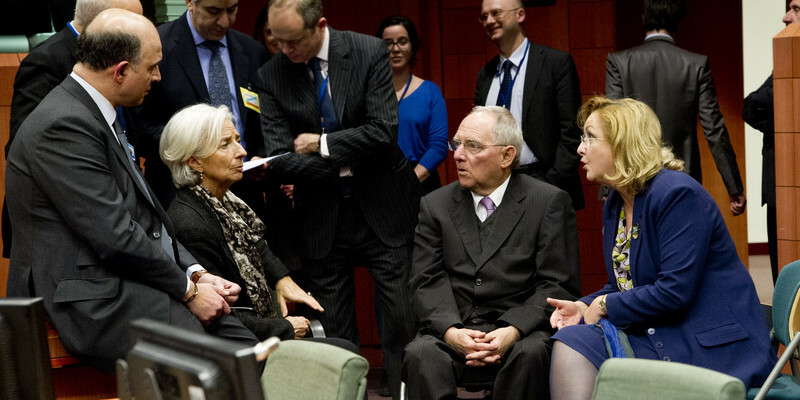 Both Dijsselbloem and Schaeuble tried to sell the bailout deal as meeting all their national parliaments' requirements: an overall envelope capped at €10 billion, a massive reduction of the oversized banking sector and extra scrutiny on money laundering, with a pending audit to be completed by the end of next week. But Moody's ratings agency warned that even with a deal approved, Cyprus still remains "at risk" of default and of a euro-exit, noting that the "policymakers' ability to contain contagion is not assured." The Cyprus brinkmanship over the past week also translates into a negative outlook for all eurozone countries, with further downgrades possible, Moody's said. EU politicians are saying Cyprus must scrap its "unsustainable business model." But data shows the writing was on the wall ever since the island joined the euro, five years ago.